The Moto G5 Plus is already one of the best budget phones of the year, with premium styling, all-day battery life and nearly stock Nougat, all at an eye-popping $230. But if you’re an Amazon Prime member, you’ll be able to get it even cheaper. As part of the ad-supported Prime Exclusive program, Amazon will be offering the 5.2-inch G5 Plus in two variants: 2 GB of RAM and 32 GB of storage for $185, or 4 GB of RAM with 64 GB of internal for $240, representing discounts of $45 and $60, respectively. Both models feature a 2MP f/1.7 camera with dual autofocus pixels, a 3,000 mAh battery with fast charging, and a fingerprint sensor. Amazon is also releasing the first Alcatel phone under the Prime Exclusive Program, the A30, for $60, representing a 40 percent discount off the retail price of $100. The metal-wrapped A30 features a 5-inch display, quad-core processor, and Android 7.0, along with Alcatel’s two-year device protection warranty. 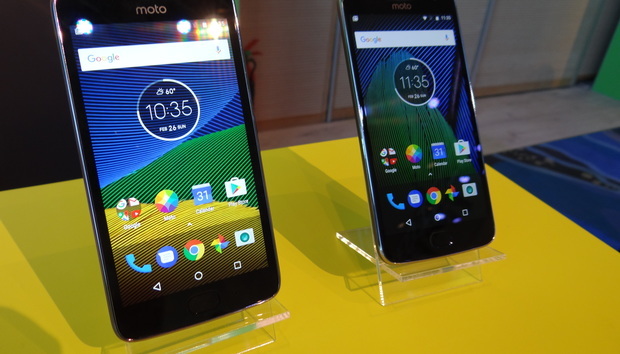 Amazon launched its line of discounted Prime Exclusive phones last year with the Moto G4 and BLU R1, and it’s continuing the trend with the G5 Plus. The lower pricing comes with a catch—you’ll need to agree to see personalized offers and ads displayed on the lock screen—but Amazon says the two phones currently available are the No. 1 and 2 best-selling unlocked phones on the site since they launched. Both phones are unlocked and work with all four major carriers. Preorders begin today, with the Alcatel A30 will begin shipping on April 19, while the Moto G5 Plus will arrive March 31. Bargain hunting: The Moto G series has always offered a solid phone at an ultra low price, and this year’s model brings a slew of upgrades for even less (the G4 Plus cost $250). And there are no surprises with the Prime Exclusive version, it’s $45 cheaper in exchange for lock-screen ads, which brings it to a remarkable price. Ditto for the Alcatel A30. So, if you’re on a tight budget, you’re unlikely to find a better phone for less.